I've been learning embroidery recently, and it's a lot easier than I expected. I've done cross-stitch since I was a kid, so this is really just an extension of those skills. This free pattern can be found here. 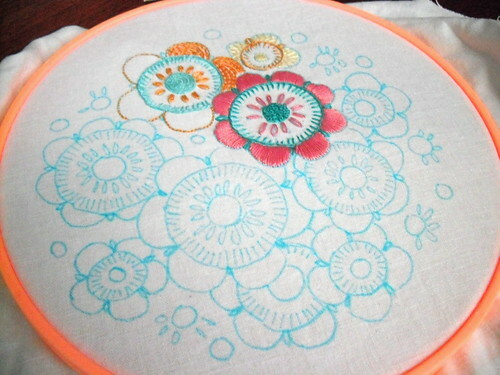 It's fun to learn different kinds of stitches. The hardest part for me is the lack of instructions; you can really do whatever you want in embroidery, and I don't know what I want! I'm so used to cross-stitch instructions where I'm told exactly what to stitch where. 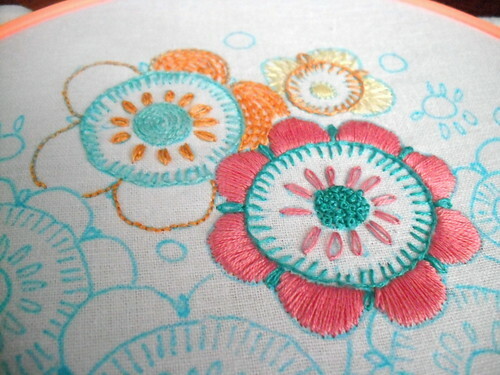 This is turning out to be the hardest part of embroidery for me, but it's still really fun! Two good friends of mine are getting married today. Some girls and I conspired to make them a quilt as a surprise gift. and Ta Dot in Sea for the backing. Their wedding is on a cruise, so these colors seemed very fitting. 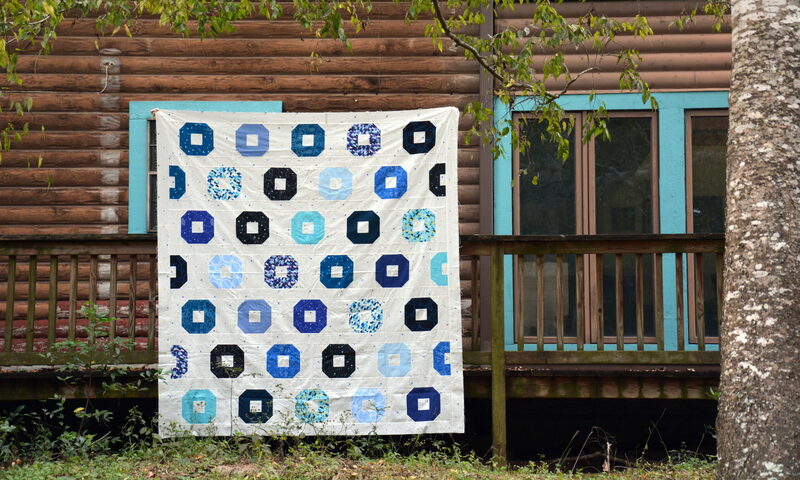 We quilted waves using our local long-arm quilting machine. The binding is Heather Bailey’s Sway from her Pop Garden line. So cute, and such a good match! Each girl contributed by designing, machine sewing, ironing, quilting, embroidering, or hand-sewing. This was such a fun gift to make! Congratulations, Justin and Andrea. We’re so excited for you both!